The 3M TWIST program allows middle and high school math, science, and technology teachers to spend six weeks during the summer working closely with a 3M host on an actual 3M research project. The objective is to provide active and challenging technical experiences for teachers in an industrial setting. TWIST is based on the idea that the way to learn science is to do science – an axiom that applies as much to teachers as it does to their students. This program is offered in partnership with the Minnesota High Technology Foundation. 3M selects about 40 teachers for the program each year. The TWIST program currently brings in teachers to work at our 3M R&D facility in St. Paul MN and in our manufacturing plants in Minnesota, Wisconsin, Texas, North Carolina and Connecticut. During the six weeks of the project, the teachers work under the supervision of their hosts on a research project related to a 3M product or technology. After this portion of the program, the teachers are encouraged to participate in follow-up sessions with their school districts to discuss how to best use their new knowledge and share it with their colleagues. 3M TWIST is now accepting application until January 21, 2019 for the Minnesota TWIST program. Please click here to register. 3M TWIST is now accepting application until February 28, 2019 for the non-MN TWIST program. Please click here to register. This session will focus on educational technology that motivates and encourages students to exceed their own expectations in the classroom. Come see how you can use the TI technology to motivate your students. See how you can used the flipped classroom model to encourage student participation. View online video platforms that hold students accountable. Inspire your students to be the teacher. Inspire them to push further than they thought they could. Are your students familiar with the calculator functionality needed for AP® exam questions? During this webinar, the presenters will focus on sound mathematical reasoning and the appropriate use of technology for some released AP® Calculus questions. The presenters will utilize both TI-84 Plus CE and TI‑Nspire™ graphing calculators during the webinar. MoMath is pleased to announce the inaugural public presentation from its 2018-19 Distinguished Chair for the Public Dissemination of Mathematics, Fields Medalist Manjul Bhargava. Don’t miss this chance to hear from one of the brightest minds in mathematics on Tuesday, November 27 at “Patterns in Nature: how they inspired my mathematical journey.” Bhargava's story, from growing up on suburban Long Island, to attending some of the top academic institutions in the world, to winning the most coveted award in all of mathematics, will delight and entertain you while also conveying the amazing beauty of mathematics in the world around us. Learn more and register at patterns.momath.org. 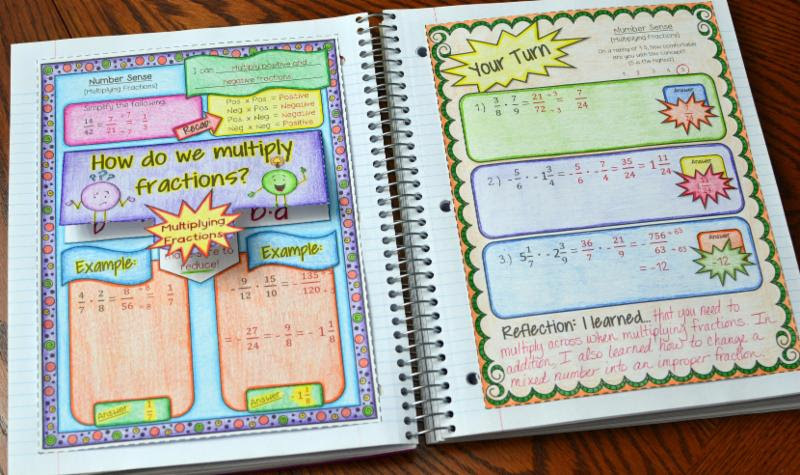 Math workshop is a framework that allows students to learn new math content each day, practice math strategies in a variety of ways and reflect on learning through verbal or written sharing. The predictable structure of Math workshop makes it easier for students to participate in differentiated activities. This half-day workshop offers an overview of how to begin Math workshop in the elementary classroom. Participants need no prior training of Math workshop this training will offer practical first steps to begin implementation. This half-day workshop offers current teachers of Math workshop in their elementary classroom the opportunity to explore common areas of concerns during math workshop. We will examine organization, increasing the rigor of math stations, collecting artifacts, and math conferences. You are invited to join us for a live, online session that will cover classroom-proven ways to foster inquiry using images and apps that are pre-loaded on your TI-84 Plus family graphing calculator. Bob Rosenbaum was a mathematician with a wry sense of humor and a desire to make math more accessible to all. He taught at Wesleyan University, where he is credited with helping shape it into the prestigious liberal arts institution it is today. Robert A. Rosenbaum, an emeritus professor of mathematics and the sciences at Wesleyan, died Dec. 3 in Colorado, after moving there in 2013 to be closer to his children. He was 102. His career at Wesleyan, which began in 1953, encompassed teaching and administration. Although he told an oral biographer that he didn’t think he was very good at administration, he served as dean of sciences, provost, vice-president of academic affairs and acting president, and could have been chosen as president if he had wanted. “He was quite insistent on not becoming head dog permanently,” Scheibe said. He became very interested in the way math or arithmetic was taught in high schools, and was the organizing spirit behind PIMMS, or Project to Increase Mastery in Mathematics and Science, which ran summer seminars for math and science high school teachers beginning in 1979. As an administrator during the years of student protests in the late 1960’s, Rosenbaum was even-handed. Wesleyan was grappling with the recent re-admission of women, an endowment that was endangered, anti-war sentiment, and the anger and disappointment of many African-American students. When students went on strike after the U.S. bombed Cambodia in May 1970, Rosenbaum supported their protests while opposing violence and retaining academic standards. “He recognized, in the energies of protest, the voice of conscience and the chance to join learning with action,” colleague Richard Ohmann wrote in a tribute in Wesleyan Magazine. Rosenbaum had a subtle British wit that helped defuse tension. At one faculty meeting, a colleague ended his angry remarks with a threat to sue the college. “Bob’s quick response, ‘Thanks. But not very much,’ evoked laughter, even from the potential litigant. That brief remark served its purpose admirably,” Greene said. Rosenbaum was born on Nov. 14, 1915, and grew up in Milford, where his father taught math at a private school. Joseph Rosenbaum, who was born in Russia, had emigrated to the United States and gone to Yale and earned a Ph.D in math. He used to take Bob on long walks where he would pose complicated math problems, such as “imagine the corners on a dodecahedron” — a solid figure with 12 flat faces. Bob recalled that he would have preferred playing with friends, but he grew to appreciate the challenge. When Bob Rosenbaum went to Yale at the age of 16 — he had started schooling early and skipped some grades — he majored in math and followed a narrow curriculum consisting mainly of math and science courses. He found Yale difficult: He had little money and felt isolated. He graduated in 1936, and after a fellowship at Cambridge University, he spent two years at Yale doing graduate work, then accepted a fellowship at Reed College in Portland, Oregon, where he married Louise Johnson, a colleague in the math department. Because of his math skills, he served as a navigator with the Naval Air Corps in the Pacific during World War II. He later resumed his studies at Yale and obtained his Ph.D in math in 1947, then returned to teach at Reed, until Victor Butterfield, then the president of Wesleyan, recruited him in 1953 as part of a campaign to strengthen the faculty there. Rosenbaum became concerned about the quality of the high school math and science courses his students had taken, and started a small summer program to provide professional development for high school teachers. An executive with the General Electric Foundation called Rosenbaum with idea about improving the way high school math and science were taught, and Rosenbaum went down to GE headquarters in Fairfield to talk about it. Rosenbaum outlined his own ideas on helping teachers gain a better background in their subjects, and walked away with a donation of $200,000 as seed money to improve his program. Rosenbaum directed or guided PIMMS, which grew to include pre-school and elementary school teachers from around Connecticut, from 1979 to 1994. Currently, the program, which has offered summer programs to hundreds of teachers, is being administered by Central Connecticut State University. Rosenbaum was always interested in athletics, and became a squash player at Yale. He continued to play, and won several national awards in his age group until he outlived the age categories and played until he turned 90. Wesleyan named its squash center for him, and he carried the Olympic torch on its way to Atlanta in 1996. He went rafting at age 83 and hiked in the Rockies at 10,000 feet when he was 100. After his wife died in 1980, Rosenbaum married Marjorie Rice Daltry, a Wesleyan professor. She died in 2013, and he is survived by his three sons, Robert, Joseph and David, eight grandchildren and nine great-grandchildren. He received many honors, including Wesleyan’s Baldwin Medal, and the city of Middletown twice honored him with a Robert A. Rosenbaum Day. He wrote articles in many journals and published three books and was active in professional organizations.